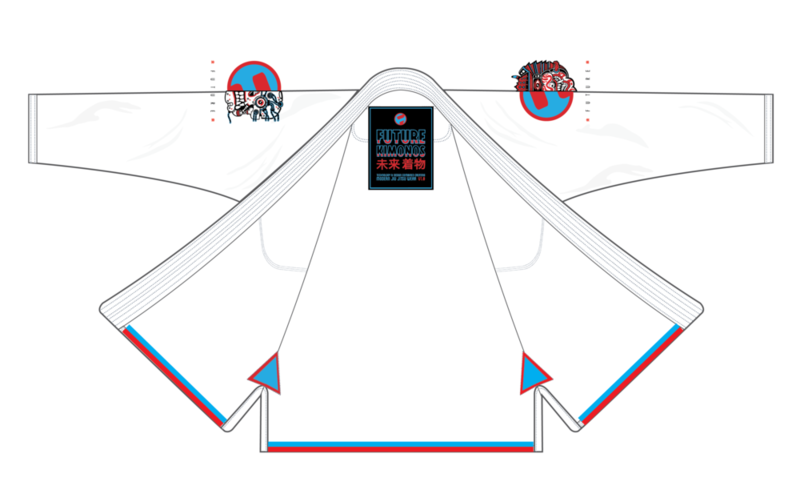 Hard wearing jiu jitsu gi engineered from the latest technology, created for the future champion. 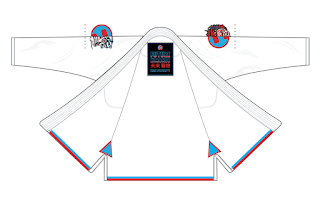 World class cotton and proprietary high tensile yarn, the v1.0 is designed with clean lines and a future focused quality. Art work on this model is produced by artist John Lacko. A combination of old and new. 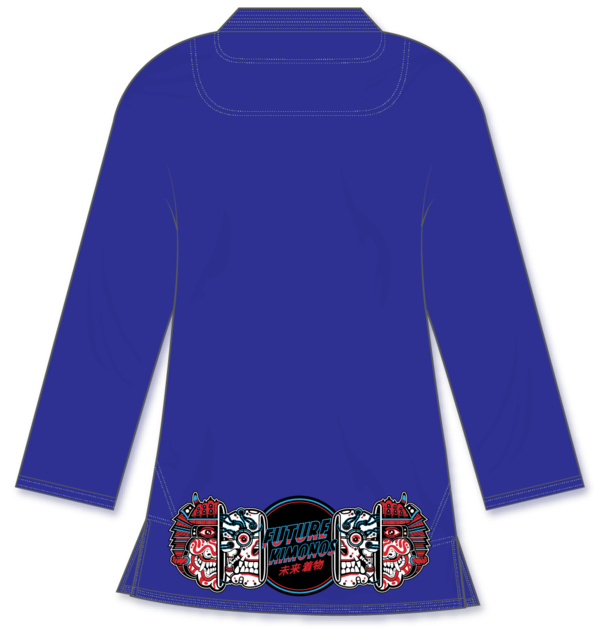 The edition come in several color options (white, royal blue, navy blue and back). 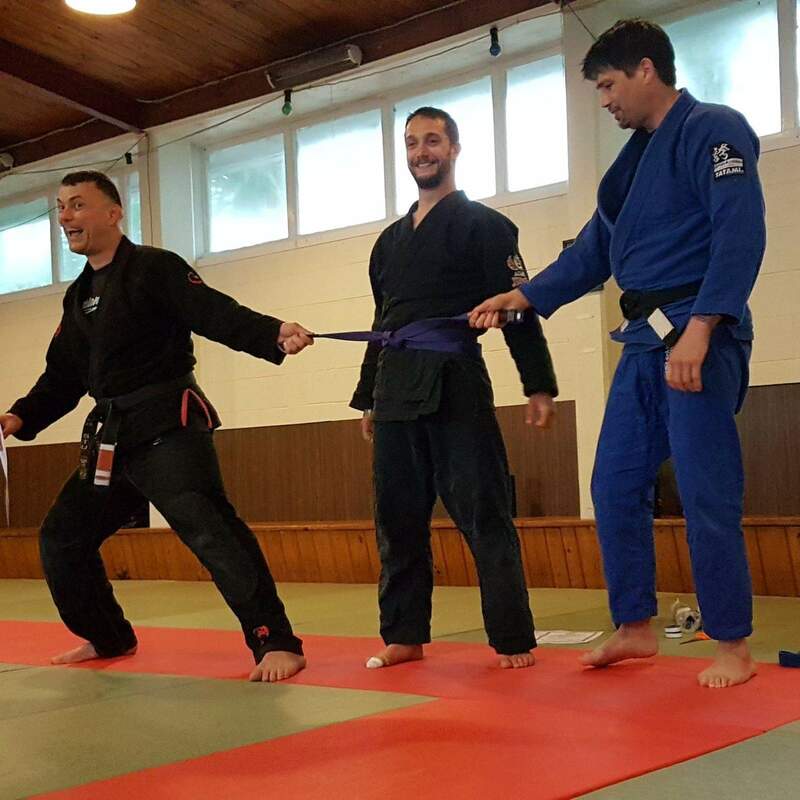 Do you want to train BJJ but you are not interested into getting locked in a contract? Send us an email before the 6th January to get our special offer. 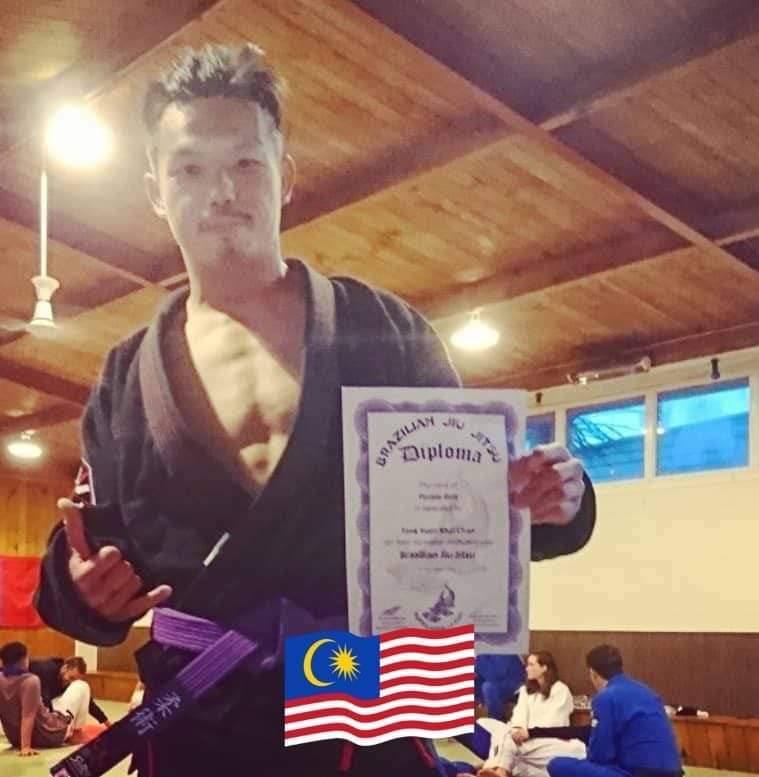 $20 per week on automatic payment (no contract) and you will be able to train at both locations (Sandringham & Epsom) for the duration of semester one in 2019. We are working on writing down our program for semester 1 over the next couple of weeks. We will like feedback and suggestions from our members. Without students, our clubs will not exist. 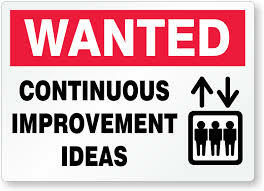 I am already planning to revamp the advanced program by adding new systems. 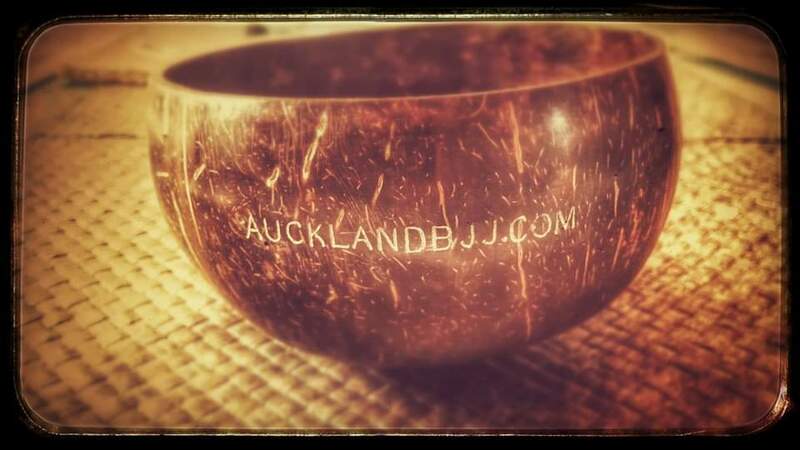 We will start the classes from Monday 07 Jan in Sandringham and Tuesday 08 Jan in Epsom. Have a merry xmas and an happy new year. 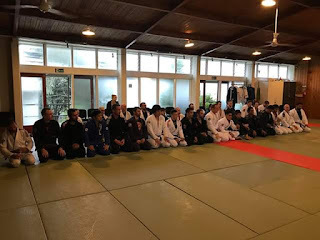 Another great ceremony held for the first time at our additional dojo in Sandringham as a merged graduation of Epsom and Sandringham on Monday. Also on Saturday we went to the graduation of our affiliate club Auckland kids Brazilian Jiu Jitsu who also celebrated their one year anniversary. 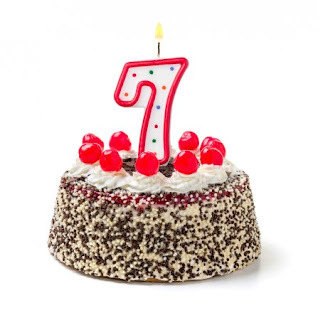 I will like to thank all the supports everyone gave us for the past 7 years and will let the pictures do the talking. 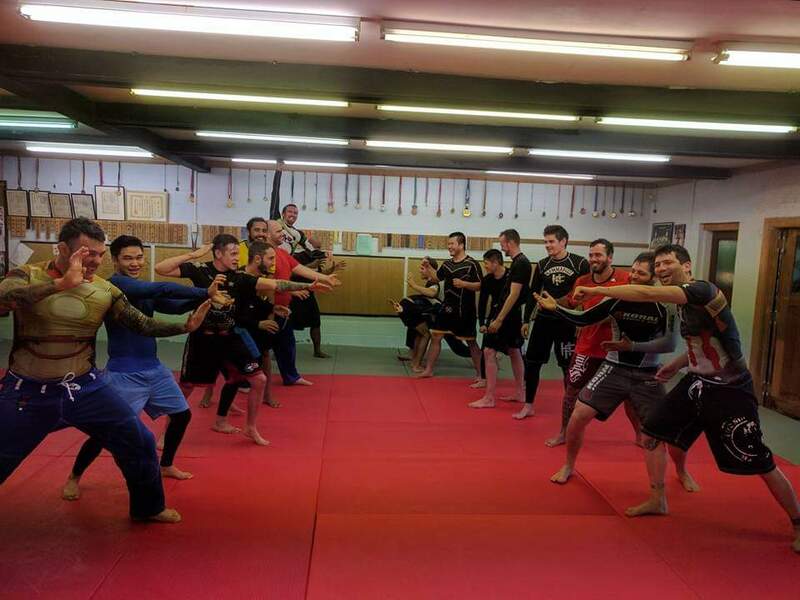 This was week, we covered a variety of questions such as Bow & Arrow Choke and Triangle. We also attended the fund raising at Buckland Beach BJJ club. 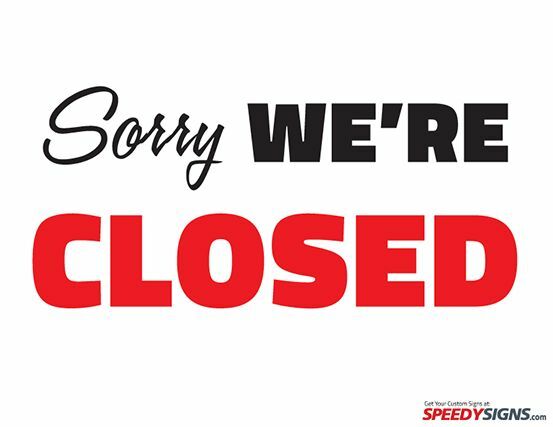 Please see below our closing date. Stu and myself opened our club at the Tuaman Gym in Onehunga on the 26th Nov 2011. 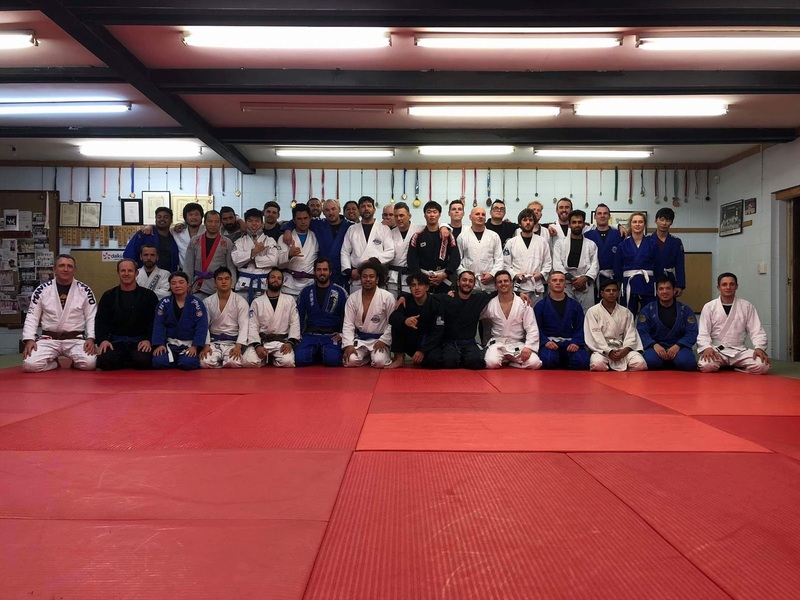 We are very great full to David Tua to let us teach BJJ in his boxing gym as he gave us a profit share deal. It was great as when you start up a club and have no students, you cannot afford to pay expensive hourly rent. Then we moved on to Epsom and opened a second additional dojo in Sandringham. 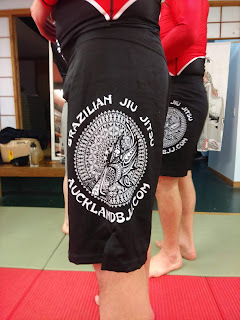 We also have an affiliate named Auckland Kids BJJ which specialize in teaching kids. Not bad for a little club that just wanted to offer BJJ in our neighborhood instead of having to travel to the CBD. We would to thank everyone that helped and supported us through the past seven years. This week, it was top half guard for fundamentals. Traditionally, we like to teach up to 3 half guard passes for this topic. 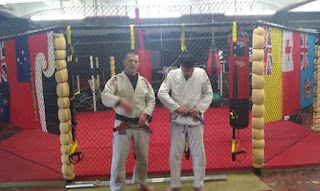 But recently, we have been adding a bit of kimura trap into our fundamental classes. 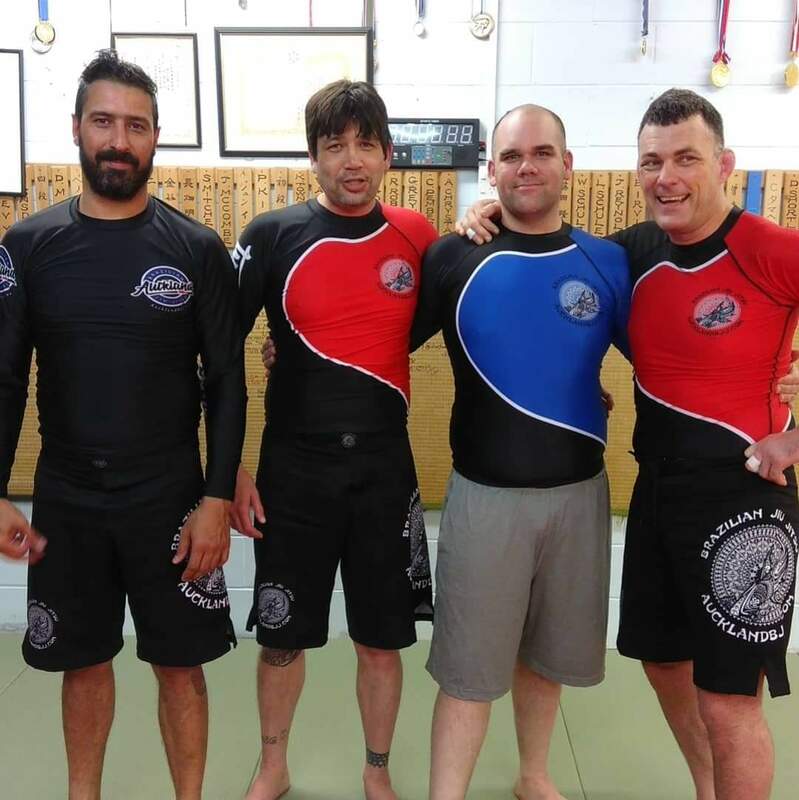 The rash guard and nogi guard have arrived. I am very pleased with the quality of the rash guard and the shorts are very good as with an internal string that goes around the waist. Laurance has a few white rash guards and a few nogi shorts left for sale. So if you did not pre order, this is your chance. 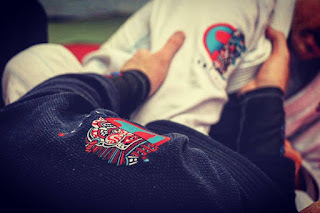 I really like the color combination of my rash guard as it looks similar to the Tino Rangatiratanga Flag. On Tuesday, we had the visit of Benoit Cadet. 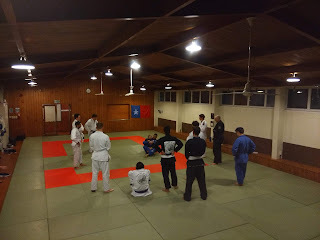 He is a 4th Dan French Judoka who trains at our sister club Auckland University Judo Club. 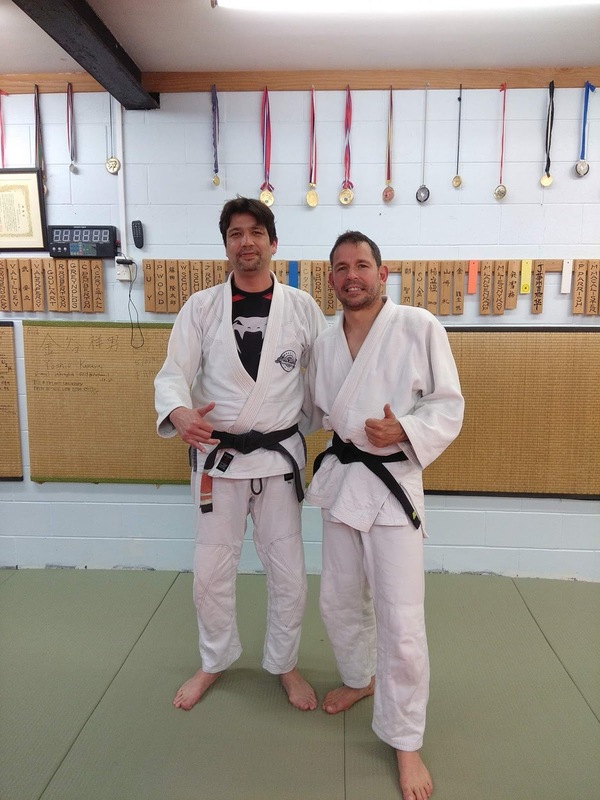 He taught us Ouchi Gari. NZ grappler has released their 2018 calendar which had a few surprises. 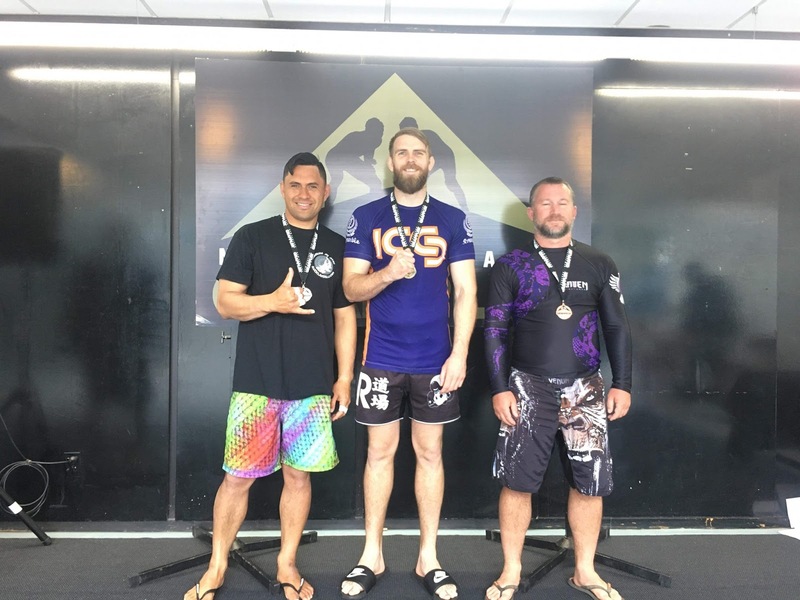 They are running NO GI Auckland on the 23 February. The Gi Auckland will be on 15th June. 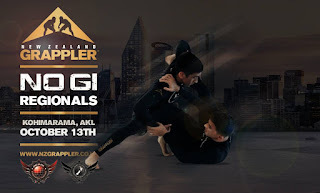 The GI Nationals will be on 28th September. We were planning to run an inter club about 4 weeks before each NZ grappler events but I do not think it will worth it running an inter club by the end of January as everyone will be slowly getting back to training after the summer holidays. 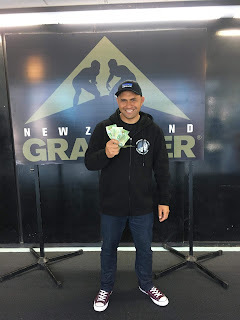 Also NZ grappler will be running events in Dunedin. Have they got an new affiliates? Will they have to take their own mats from Auckland? hould we plan to take a team and have a holiday trip as well. Talking about the holidays and trip, Stu is planning to do the IBJJF referee course on Feb 2018 so if you want to compete in Sydney. 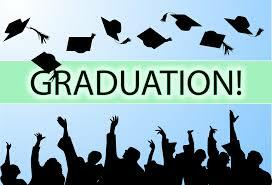 Graduation is on Monday 03 December from 6 to 8 pm at 681 Sandringham road. The students moving belts will be demonstrating some techniques and we will have open mats after for some rolling after that..
We will also have some pizzas at the dojo to conclude the graduation. 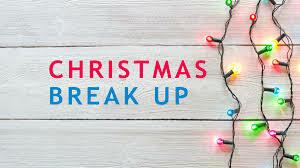 Starts again next year from Monday 08 Jan 2019 In Sandringham and Tuesday 09 Jan 2019 in Epsom. 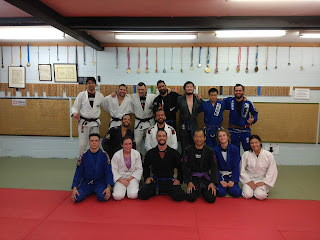 We are still taking new students at both our location (Epsom and Sandringham). Come down for a free class and get in before the January rush. 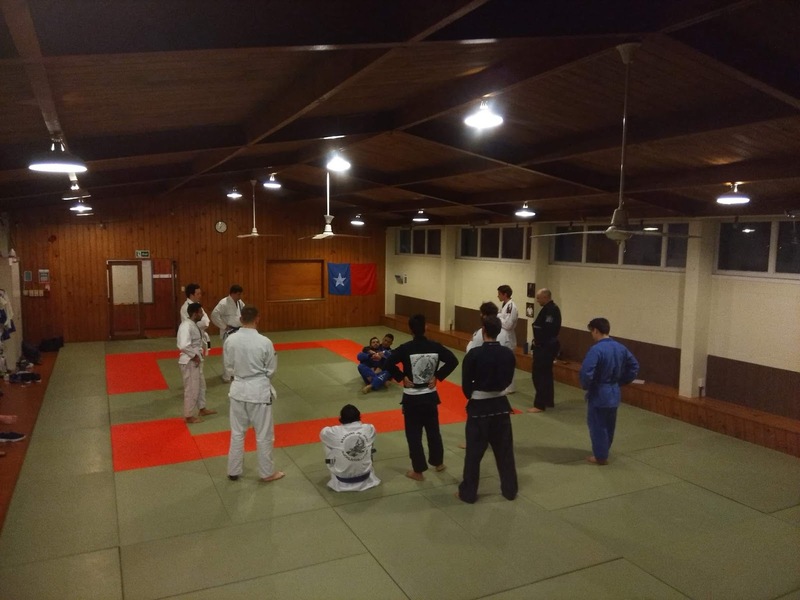 This is a picture of Fern who is currently training Judo in Japan. In this picture she is with Yoshio Kanaya (left) and Matsura Sensei (middle) at the Daishin Judo Club. 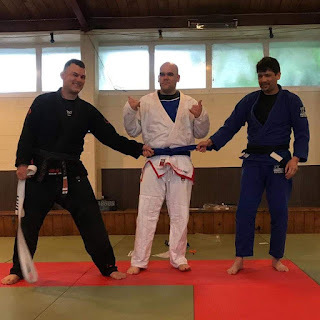 I am not too sure if they were impressed with her white belt BJJ with 2 stripes. This week was short to the public holiday and we covered guard pass. 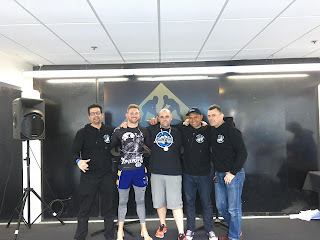 Such techniques do varies greatly depending in you train GI or NOGI. 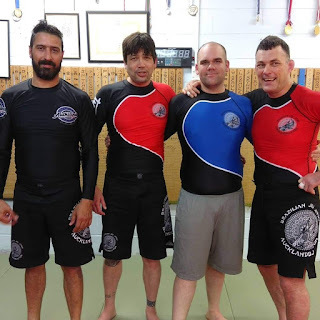 Serge taught reverse de la riva on Tuesday Nogi advance and Stu taught lapel guard (aslo known as the wor guard) in advanced Thursday. Adam Wilson also demonstrated his single X entry to straight ankle and how to defend the same attack. Since we have no more competition, we are now winding down towards the end of the year. Please note that graduation is on Monday 3 December from 6 pm at Sandringham Dojo. This is the first time we have a merged graduation at the new expansion. If you want to learn BJJ, please come down for a free class or email us for more information. 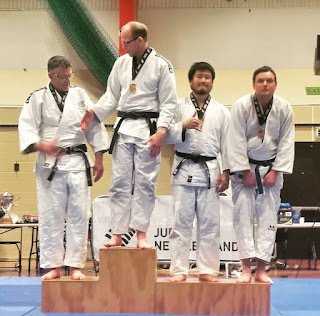 The last pictures are from the NZ Judo Nationals where Ben won the bronze medal. 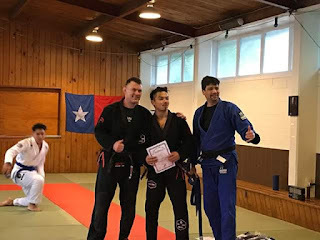 getting your 3 points for the guard pass. Also, while some people are really good at defending from bottom side control, North South position is really problematic when you get under it. 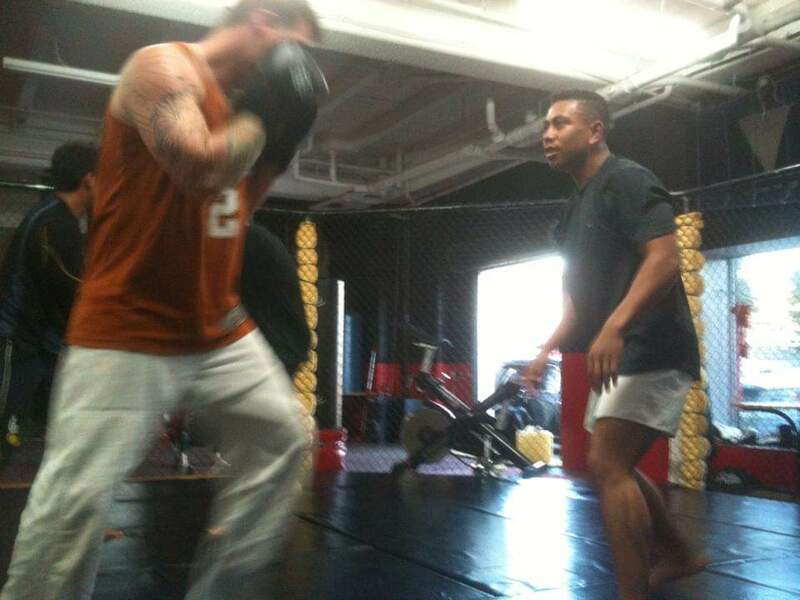 To start with, we teach the concept of framing which is concept that is also taught from bottom side control. The basic escape is the reverse shrimp that we do for warm up. 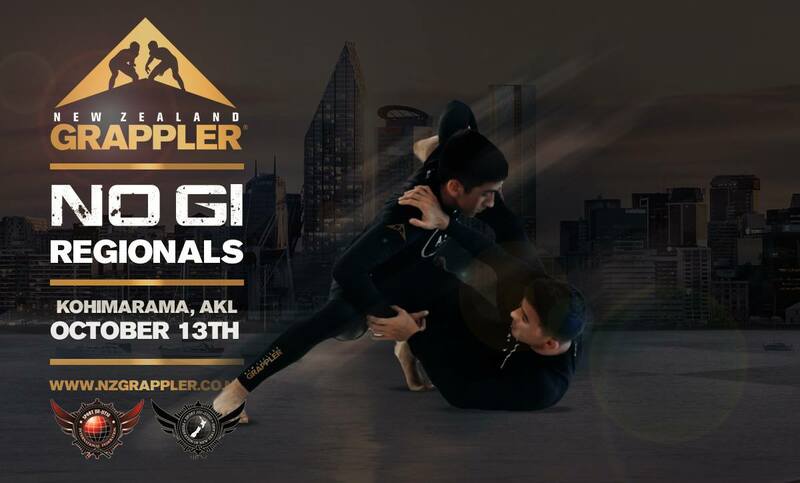 The NZ grappler no gi competition has a low attendance compare to other year. 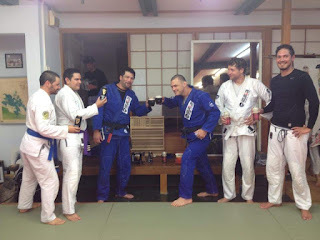 I do not why but we also had a small team of competitors (4) compare to the 10 that competed at the last Gi Nationals. 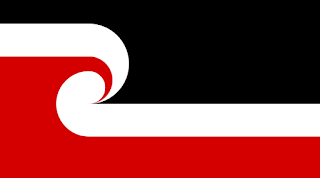 Also, I heard that one of the biggest and best team is now boycotting the NZ grappler events. It is a bit sad to see politics getting in the way of the promotion of the sport. Hopefully, they will make peace and enter the next year event. This is the end of the competition season for 2018. Next year, we will host another inter club before the NOGI nationals. 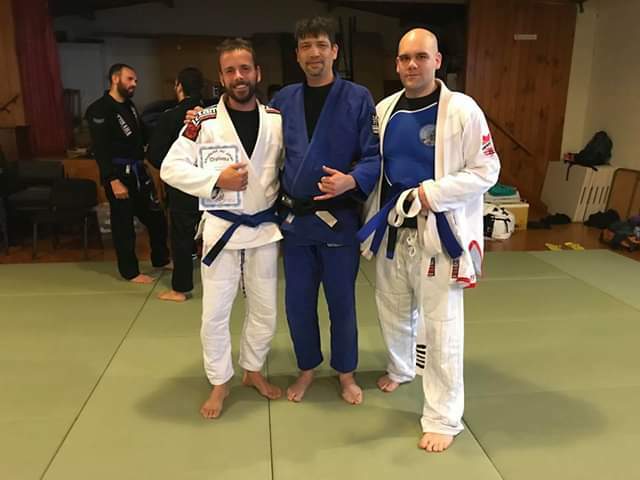 I have extended our invitation to Clinch BJJ for the next inter club. They have similar size club and are keen to get that competition experience. 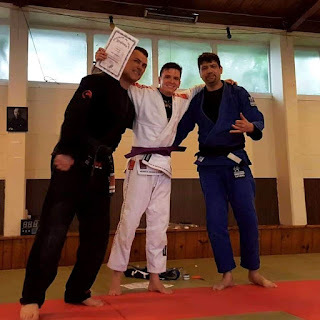 Laurance won silver medal after losing to a brown belt in the final. 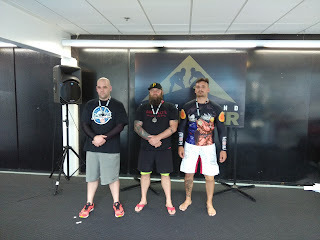 Jay won bronze medal. He would have won the silver but got demoted for a disciplinary foul in the final. Laurance also won the club cash prize of $100 for the most subs. It is a double elimination even so it means you get at least 2 matches. Half of your entries fees refunded by the club. 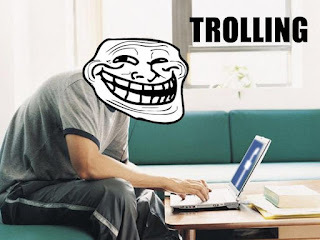 "Internet slang, a troll (/troʊl, trɒl/) is a person who starts quarrels or upsets people on the Internet to distract and sow discord by posting inflammatory and digressive, extraneous, or off-topic messages in an online community(such as a newsgroup, forum, chat room, or blog) with the intent of provoking readers into displaying emotional responses and normalizing tangential discussion, whether for the troll's amusement or a specific gain." I guess you are made it big time once you get trolled by Fake Facebook Account. So the award for the troll of the week goes to Mike Jones. 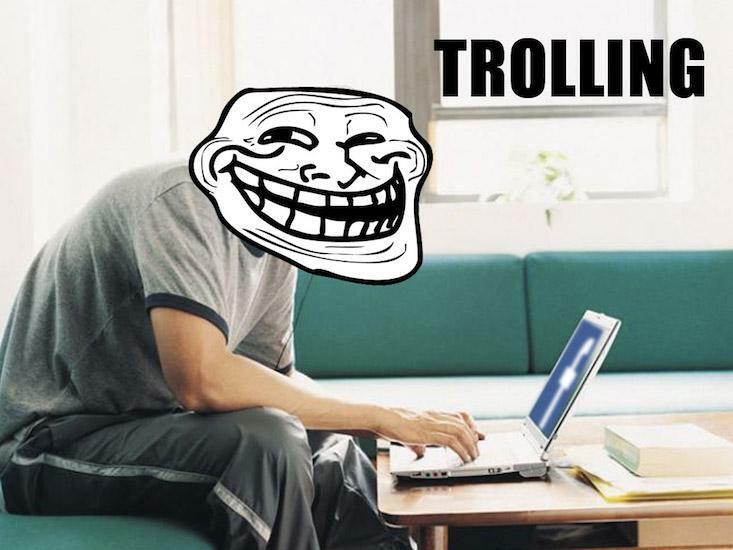 I think some of the trolling were targeted at people that could be seen as sand bagging in the sport in general. Sandbagging is a term used in martial arts to denote a practitioner who competes at a skill-bracket deemed less rigorous than their actual level of competitive ability. The term is adopted similarly in golf and various forms of racing." 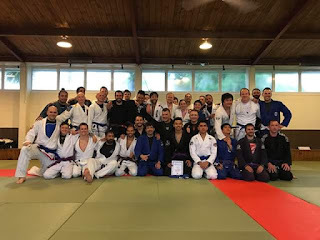 So we start Mike Jones criticizing the fact that she will competes at blue belt level compare to all her achievements at the level. But he makes a mistake to mention American Top Team which is weird because I understand it is now New Zealand Top Team only. 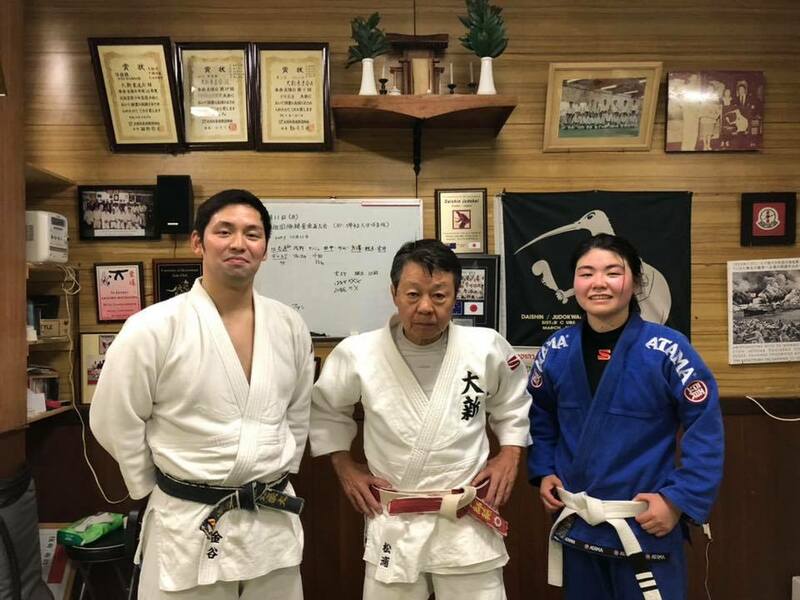 But it gets better when another commentator mentioned that she is competing at white belt level even though she is aware that it is against the SJJF rules because she is a Judo Black Belt. 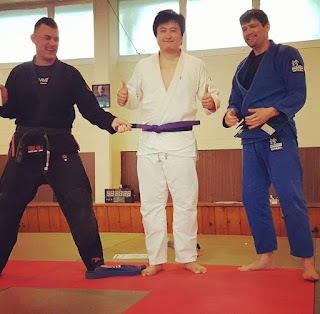 But then it get better when NZ grappler is introducing another competitor at white belt level. You can clearly see the troll Mike Jones taking a sharp jab at her being not white belt material. But you can also read the question from another coach wondering why she was competing at white belt. But seriously, is there something really wrong in this sport where people feels that some competitors are on purpose competing at lower level so they could a medal. Is it not absurd to see the same competitors keep competing a the same belt even thought they won or even place at the previous event? Do we need to protect our novice students by insuring that the beginner division is a real beginner division and not made on past champions? But who is responsible for such trend? 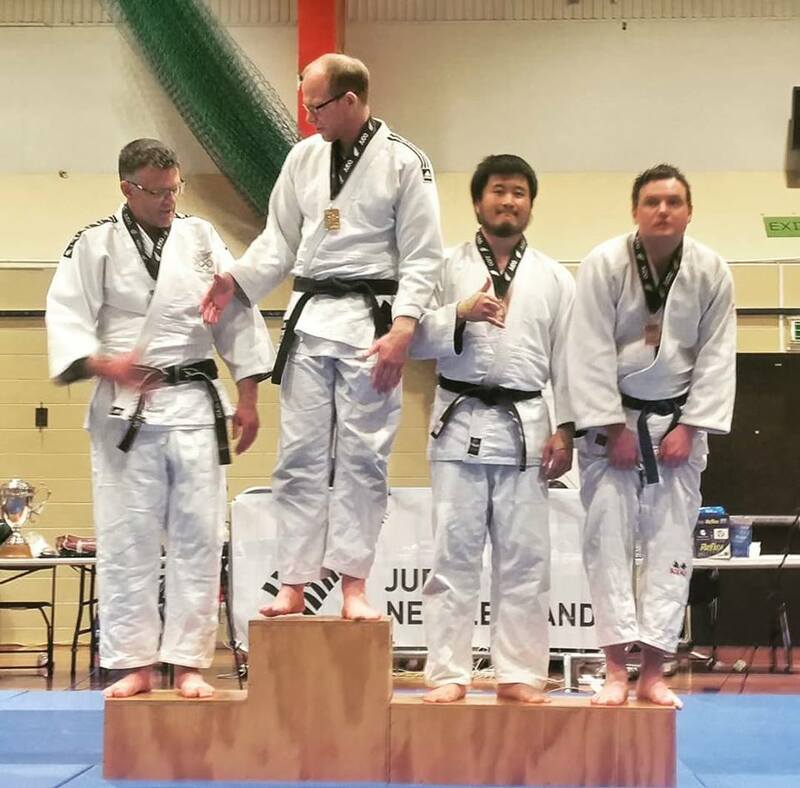 Nothing new, it is usually the coaches that want to win medals. Medals bring fame and more students I guess. Is it the organizer of the competition that is responsible to ensure that the customers are competing in the right category?